For all those Firefly fans out there, Nathan Fillion has long been a hero in our eyes. As Mal Reynolds, Fillion may not have have had the whole ‘super’ thing going for him, but he filled the shoes of a hero perfectly. Fillion has spent time in the superhero universe too though, voicing Green Lantern in a number of DC Comics animated features, and he even played a massive alien inmate in Marvel’s Guardians of the Galaxy. But what character in the superhero universe does Fillion really want to play? We knew he’d have to have thought about it in depth. And of course the Castle actor didn’t disappoint. His answer: Booster Gold. I think I could take a pretty good crack at Booster Gold. That’s kind of my niche… show-offy, vain. I think I could handle that… not too bright. 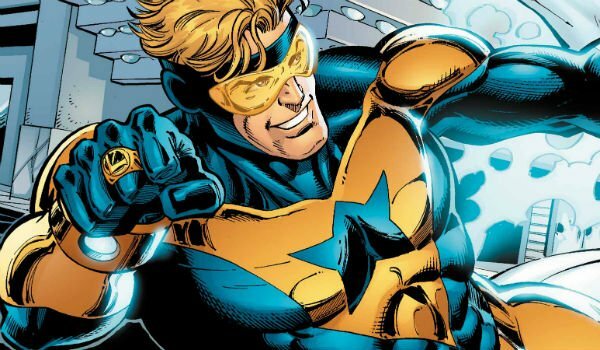 Booster Gold, for those of you are unfamiliar with the name, is a DC Comics character from the future. As Fillion points out, he’s quite the showboat, often depicted as glory-seeking and using his knowledge of historical events and his futuristic tech to stage highly-publicized heroics. Though he develops throughout his time in the DC universe, his self-created reputation of being a show-off often weighs him down. He does become a member of the Justice League, though, and with a new Justice League film on its way, there may be room to expand into some of these lesser known Justice Leaguers in future films. And if Booster Gold doesn’t work out, Fillion also has a couple alternatives he’d like to pursue. I think Ambush Bug. Remember that guy? Little bit off his rocker. You’d never see my face. But I think Greatest American Hero is due for a reboot. Ambush Bug is another DC Comics character, real name Irwin Schwab, and a ‘little bit off his rocker’ my be an understatement. Ambush Bug has some mental problems, which often prevent him from understanding the reality around him. So while his supposed name is Irwin Schwab, that may even be a delusion on his part. 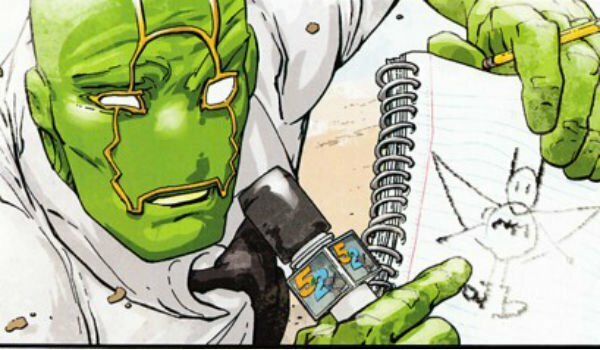 Ambush Bug’s started as a villain in the Superman universe, but soon after decided he wanted to be a superhero. He’s primarily known for being more of an annoyance than any threat, and fans either love or hate his absurdity. 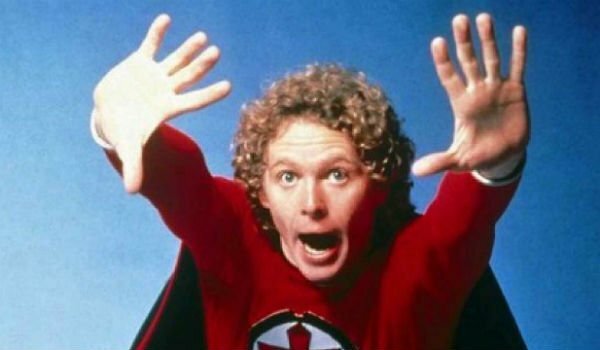 As for The Greatest American Hero the early ‘80s ABC comedy-drama that saw William Katt as a school teacher, given a super-powered suit by a group of aliens. Unfortunately William Katt’s Ralph loses the instruction booklet, and must learn to use the powers of the suit by trial and error. The comedy seems perfect fit for someone with Fillion’s resume. And with the current popularity of TV reboots, now seems good as time as ever.